In this study, we quantitatively analyze some frequently used markers of recovery time, derived from the transmembrane action potentials and from unipolar extracellular electrograms. To this end, we performed 3D numerical simulations by using the anisotropic bidomain model of normal cardiac tissue, coupled with the Luo-Rudy phase I membrane model. 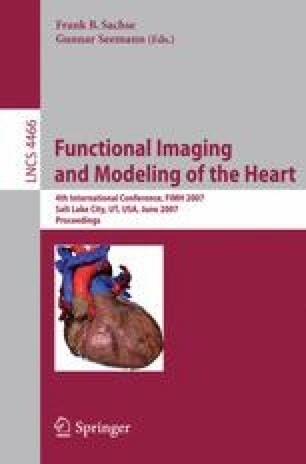 We show that the extracellular markers considered are very accurate estimates of (and very well correlated with) the transmembrane action potential markers of the repolarization phase, irrespective of T-wave polarity, repolarization sequence, and transmural distribution of intrinsic properties of the cell membrane.